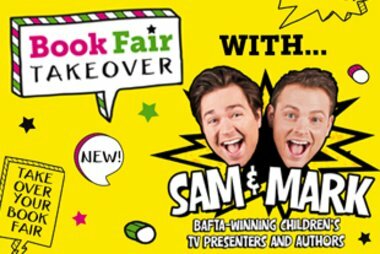 Originally from Nova Scotia, Canada, Lucas Maxwell has been working in school libraries in the UK for the past five years. 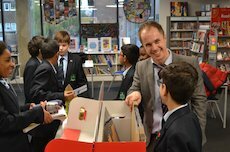 He is a writer at Book Riot and in 2017 was named UK School Librarian of the Year. Currently Librarian at Glenthorne High School, he can also be found on Twitter @lucasjmaxwell or blogging on the Glenthorne High School Library blog. Here at Glenthorne High School we recently held our annual Scholastic Book Fair and it was a huge success. 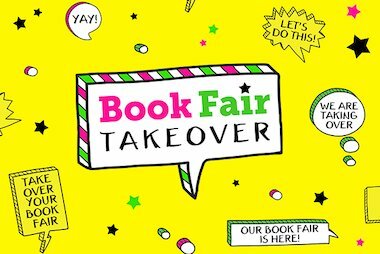 Here are five ways to make your book fair a hit. This was a fun one. In a stealthy move, I trained the students to be powerful book sellers without them really knowing it. How did I do this? 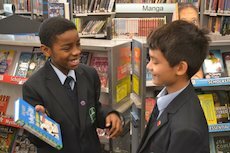 Through a game I like to call “A Book a Minute!” In the weeks leading up to the Book Fair, all students in Years 7 and 8 (ages 11-12) played A Book A Minute in their library lesson. This blog was originally posted on the Glenthorne High School blog and has been reproduced here with permission from the author.